Virginia’s Indian restaurant scene is the envy of the East Coast. With hundreds of incredible, authentic restaurants to choose from, it’s nearly impossible to narrow down a list to just nine. But alas, we have done it, considering the restaurants use of spice, flavor, authenticity, experience, and accessibility to those who may not be familiar with Indian food. We think we nailed it. So, pull up a vegetable samosa, gnaw on a little naan, and read on. Dishes of India in Old Town Alexandria has been labeled “An Indian standout” by The Washingtonian. Originally opened in 1997, the executive chef boasts over 60 years of cooking experience. The menu consists of a lunch buffet, appetizers, tandoori dishes, chicken, lamb, curry, bread, and much more. A Taste of the World in Herndon, Virginia serves a wide variety of dishes, including those inspired by Indian, Thai, Italian, Filipino, Middle Eastern, and more. 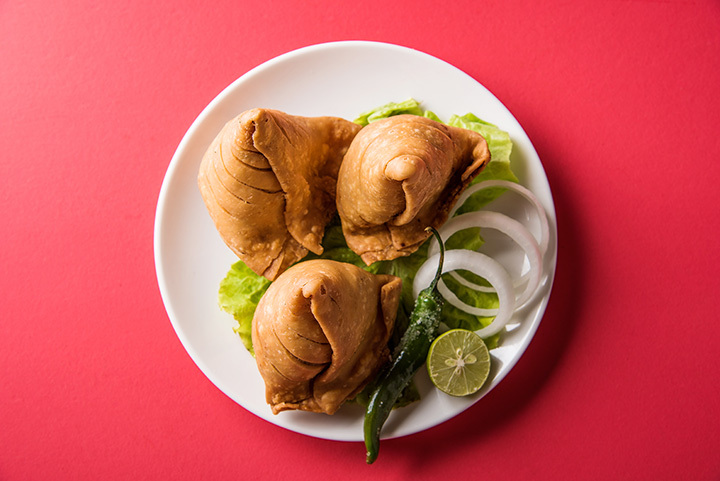 While not strictly an Indian restaurant, A Taste of the World sticks to authentic flavor and allows die-hard Indian lovers to introduce their friends to the cuisine without overwhelming them with too many new dishes. Sona Cuisine brings the Northern Indian culinary experience to Winchester, Virginia as chef Shiv Kumar “includes a multitude of spices and herbs delicately balanced to accent the ingredients,” according to their website. They have all of the traditional Indian dishes and now offer cooking lessons for those interested in learning. PIND Indian Cuisine offers a wide range of elevated Indian food to diners in Ashburn, Virginia. The menu is extensive but the chef still takes requests. If you don’t see your favorite dish on the menu, it’s possible they’ll whip something up for you. Come in for lunch or dinner. Raaga Restaurant has been rated the Best Indian Cuisine in the DC Metro Area, according to their website. They’ve been in business serving Falls Church for over 20 years with an authentically Nepali and Indian menu. Come in for the lunch buffet, dine in for dinner, or have UberEats deliver right to your door. Virginia Beach has no shortage of excellent Indian restaurants, but for our money, Masala Bites takes the cake. They’ve won the “Award of Excellence” from Wine Spectator every year since 2013 and have the perfect dishes prepped to pair with it. The atmosphere is as inviting as the food is elevated. Taaza in Roanoke, Virginia styles itself as “An Award-Winning Restaurant showcasing Indian and Mediterranean Cuisine.” The menu is creative while keeping many of the most popular dishes Indian lovers will most recognize. Come in for the weekend buffet, too. Nawab has locations all throughout Virginia, including in Norfolk, Newport News, Virginia Beach, and Williamsburg. Nawab’s success is partially due to how accessible they make Indian food. They have something for everyone, whether you prefer a full course meal or to pick your favorites at a buffet. In the end, it’s just tasty, authentic food, and that’s all we can really ask for.